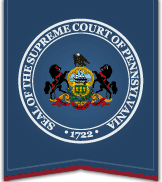 Not all counties and courts in Pennsylvania are accepting online bail payments at this time. Please click here for a list of participating counties and court offices. You may select the county link on the following page for a full list of docket types approved by county/court office for online payment of bail. For Magisterial District courts, the case is a Criminal (CR), Traffic (TR), Non-Traffic (NT) or select Miscellaneous (MD) docket type with unpaid bail assessments. For Common Pleas courts and Philadelphia Municipal court, the case is a Criminal (CR) or Miscellaneous (MD) docket type with unpaid bail assessments. Additional Case Category restrictions may apply. The case has a redacted caption.